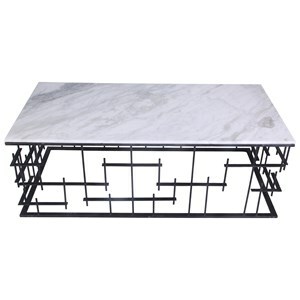 Classic and eclectic, the Gulliver Coffee Table reminds of us of the allure of travel. Classic steamer trunk style with a world map finish. Side Drawers provide hidden storage. Side drawers provide extra storage. Travel inspired design. Industrial Style. Part of Gulliver'S collection. Dimensions: 48"W 28.5"D 16.5"H. Product weight: 33.5lbs. Color: Antique. Assembly is not required. Made in China. We are offering 1 year limited warranty (covered for any manufacturer's defect). Construction: MDF. Cover: Polyurethane. We understand how important your home is and how decorating your kitchen, dining room or bedrooms with classy, contemporary furnishings can help make it a place that reflects who you are. We believe in the power modern furniture has in creating not just a home but YOUR home. We believe in feeling good about our home's environment, and we think you do too. 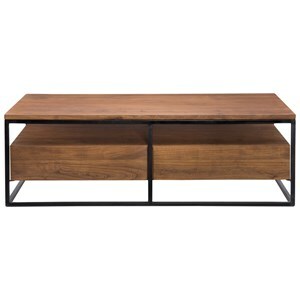 The Gulliver's Industrial Trunk Coffee Table with 2 Drawers by Moe's Home Collection at Williams & Kay in the Anchorage, Mat-Su Valley, Eagle River, Alaska area. Product availability may vary. Contact us for the most current availability on this product. Browse other items in the Gulliver's collection from Williams & Kay in the Anchorage, Mat-Su Valley, Eagle River, Alaska area.